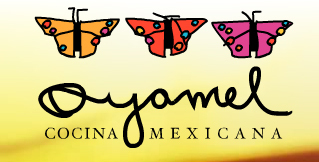 I’m very pleased to announce that Southern Skies has been selected to provide coffee to Oyamel, one of acclaimed-chef José Andrés’ Washington, DC restaurants. Oyamel serves antojitos, Spanish for “little whims,” which are a staple of street food in Mexico. But don’t think heavy, cheesy, gastric-distress-inducing gut-bombs. This isn’t Tex-Mex, but food from the Distrito Federal, Mexico City. The menu reflects the wide diversity of foods eaten in Mexico, from the familiar (guacamole, skirt steak) to the more obscure (black corn truffle, known as huitlacoche). For Oyamel, I’ve found a wonderful coffee from a single estate in Chiapas, Mexico. The 150 hectare farm, owned by brothers Delmar and Fernando Moreno Guillen, is located in the mountains at an altitude above 1500 meters. The mountain forests surrounding the farm provide home for indigenous wildlife and shade for the delicate coffee trees, which allows the coffee to mature slowly and develop its deep, complex flavor. Grown without the use of chemical fertilizers, this coffee has a silky mouthfeel that reinforces the round, chocolate notes that end in a clean, slightly spicy finish. José Andrés is at the forefront of culinary innovation and is credited with introducing the small-plates concept to the U.S. It’s a pleasure to be able to work with someone who brings so much passion to the table.